The Power to Judge allows us to make quick, clear, accurate and unbiased decisions. Accurate judgment comes after evaluation and is not influenced by the situation, emotions or the opinions of others. Real, authentic judgement has three dimensions; I assess a situation to see what is the correct response needed. I don’t judge people but I do judge actions, according to rightness or quality, ethic or value. And then I judge myself - not to punish but to ensure that my thoughts, words and actions are of the highest quality and add benefit to the scene I find myself in. Let’s face it: life’s decisions are rarely black and white: yes or no, good or bad, right or wrong. If they were, life would be much simpler. Morality would simply be a rule-book; ethical dilemmas would cease to exist; we would not speak of one’s “conscience” or moral “compass”. If our choices were only of the “either/or” variety, we would not need the extraordinary capabilities of subtle assessment, analysis, reasoning and moral sensibility that set us, as humans, apart from other species. Good judgment, or the ability to judge wisely, is the sixth spiritual power in our series on the Eight Powers of the Soul. The Power of Good Judgment helps us know when an action is appropriate and relevant as well as how much or how often to perform it. It requires us to evaluate, to ‘weigh’ the options, and thus is often symbolised by the scales of justice. It is a power that relies heavily on the fifth power, the Power of Discernment, which we looked at last month. Only when you have clearly discerned the nature of something, can you render a correct judgment or decision about it. • frightened by the possible consequences. In other words, while you and I possess the ability to judge (and are sometimes quick to do so), we frequently lack the power of good judgment. This explains why the decisions you take, or the choices you make, may not necessarily reflect your clarity of perception and discernment; they may not result in you following your truth, acting in your own best interests, or behaving according to your core values or highest principles. The Power of Good Judgment is sometimes also called the power of decision or decisiveness. A decision is meant to manifest in an action—whether it be a decision to steer your thoughts in a different direction, a decision to hold your tongue, a decision to put money in the bank rather than spend it, or even a decision to do nothing. (Non-action is arguably another form of action; in some cases it may even be preferable to re-action.) Perhaps you, like me, have made New Year’s resolutions, or decisions to change something in your life—to give up a bad habit, or to start a new exercise program—and failed to carry out those decisions. This type of inaction is another indicator that the power of good judgment is lacking, for judgment without implementation is powerless. 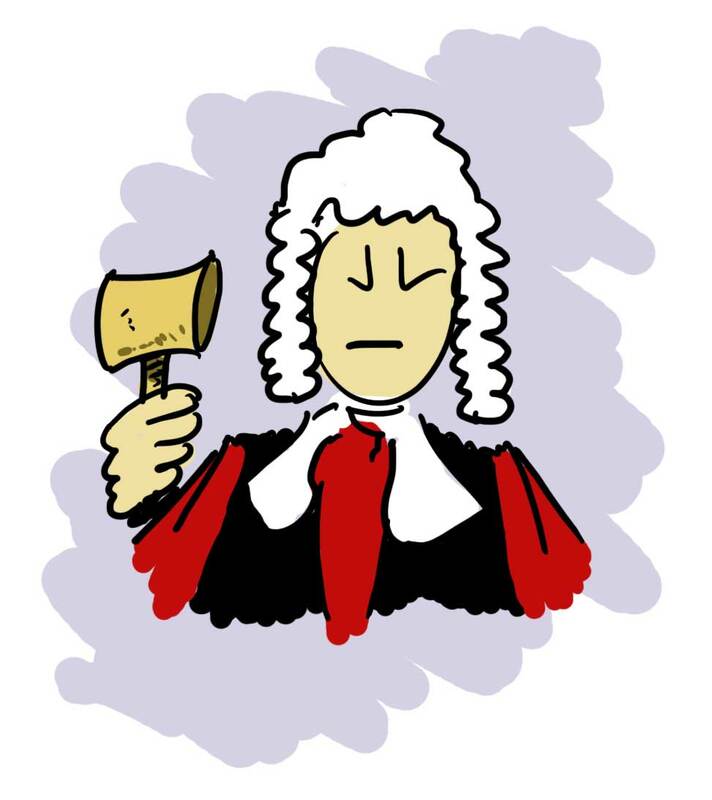 In worldly judicial systems, what would happen if judges rendered their decisions and the verdicts were never implemented? Chaos would ensue and there would be no respect for the law. Similarly, each time I do not follow through on my decisions, I diminish my self-confidence and self-respect. The good news is that simply choosing to practise Raja Yoga meditation regularly is a decision that strengthens my will and decisiveness. If there is a past habit of doing a wrong action and I now refrain from doing that and instead decide in favour of the right action—will power and strength of character increase within the soul. Here’s a mundane example: getting up early to meditate. My past tendencies tell me to stay in bed. When I succumb to them I lose power; however if I refuse to listen and indulge them but get up instead, I find that I am the stronger for it. Decisions become much more complicated when choices are not clear cut—when they are right versus right decisions rather than right versus wrong ones. For example, most of us have a high value for honesty and integrity. Another core value for most of us is looking after our loved ones responsibly. However, what decision do you take if you find yourself in a situation where these values collide?—when, for example, by being completely honest you put your loved ones at risk? Being law abiding and being compassionate are two values that can also oppose each other in some situations: Do you strictly enforce the rules in your family or your company or, when wrongdoing comes to light, do extenuating circumstances sometimes suggest the need for mercy and compassion? On a global scale, such dilemmas have enormous consequences: It is both right to focus on the immediate needs for housing and feeding our ever-increasing global population, and right to give equal attention to the impact that such efforts have on humanity’s long-term environmental sustainability. What if time pressures or economic realities do not permit doing both? • Truth versus loyalty: Do you always tell the truth? What about when you’re being pressured to disclose something that you promised not to reveal? Is it sometimes ok to compromise your honesty or integrity to uphold your commitments, fulfil your responsibility or keep your promises? • Long term versus short term: Should you disrupt the lives of your family members in the short term and subject them to hardship and inconvenience in order to make a career move that will provide greater opportunities for your children in the long term? • Individual versus community: Would you, in exceptional circumstances, choose to violate an individual’s right to privacy in order to protect the community from, for example, terrorists or sexual predators? • Justice versus mercy: Would you suspend from school a young offender and throw him or her behind bars, or arrange for counselling and electronic monitoring? What if you were inclined towards mercy but others were not? 1. Care-based: Doing only that which you would not mind someone doing to you. 2. Rule-based: Acting only in ways that you would want others to follow. 3. Ends-based: Doing whatever produces the greatest benefit for the greatest number. These principles can help us think ahead to the consequences of our actions. In some cases (notably in the justice versus mercy dilemma), the motive, intention and circumstances surrounding a wrong-doing must be considered as well. 1. First, make sure that you are dealing with an ethical dilemma rather than a simple conflict of cultural or social, financial or technical values. 2. Identify whether you yourself are merely involved or whether you are actually morally responsible and capable of acting to influence the outcome of the situation. 3. Make sure you’ve got your facts straight: how things occurred from the beginning until the present point, who was involved, what was said or not said, what the possible future consequences are. 4. Test whether it’s a case of right versus wrong or right versus right. Will your decision break a law? Would it violate your conscience? If your decision were made public would it cause you discomfort? Is it something someone you hold in high regard would do? 5. If it’s truly an ethical, right versus right dilemma, identify which of the four types of dilemmas described above does it fit? Which core values are at odds with each other? 6. Try to apply the three basic principles mentioned above to resolving the dilemma. Which is most relevant? 7. See whether it possible to “think outside of the box” and come up with a creative compromise between the two ‘rights’. 8. Exercise your moral courage and make the decision. 9. Subsequently revisit and re-evaluate your decision in order to reinforce and refine your sense of good judgment. On my own spiritual path, I have found Mr. Kidder’s analysis and checkpoints reiterated and reinforced by many of the teachings of Raja Yoga. Daily I find myself confronted with small, subtle, ethical challenges: Is it selfish to take time away from my family life to meditate and develop myself spiritually or should I sacrifice such efforts for the sake of service? Is it best to deal with issues and conflicts immediately or wait until an appropriate moment arises or wait until time and space have brought greater clarity and diffused some of the emotional charge—especially when to delay means that everyone involved must tolerate the lack of resolution? Should I be merciful and tolerant with myself when I’ve made a mistake or should I discipline myself in some way? Am I being truly honest with myself? Or am I allowing loyalty to old tendencies or beliefs to influence my decisions? Applying the Power of Good Judgment to oneself is not done with the aim to criticise or punish the self, but rather to ensure that one’s thoughts, words and actions are consistently of the highest quality and appropriate to each situation. Some questions to ponder: Do I consider the motivations as well as the consequences of my decisions? Do I favour one principle of decision-making over the others? How morally courageous have I become? When I make a decision do I follow it through? In terms of others, Raja Yoga has taught me to use the Power of Good Judgment to judge behaviour rather than people; to judge actions—rather than individuals—for rightness or appropriateness or for ethicalness or value. With a detached, impartial state of mind, if I see someone doing something wrong according to universal laws, values or codes of conduct, I’m learning to use the Power of Good Judgment to help me assess whether or not the person him/herself perceives that he/she is acting wrongly. If so, I’ve found I can emerge feelings of mercy and try to inspire him/her, either through my own example or with empathetic “coaching” to change the behaviour. If he/she does not perceive the inaccuracy or inappropriateness of the behaviour, is making no effort to overcome his/her weakness, or is even trying to prove the self right when wrong, I am learning to subtly encourage realisation of the mistake by generating respect and good wishes for the individual. In this way, the scales of good judgment enable the balance of love and law: application of laws and disciplines that keep the self within appropriate boundaries or codes of conduct, and simultaneous application of spiritual love for all. Given that all actions have two sides, the Power of Good Judgment enables me to pause at the confluence of both and judge, rather than tilt to either side. I am learning to remain detached and loving, which is the aim of all true spiritual practices. Thanks for your feedback - we will look into it as soon as possible. Thank you so much. I was just going through a very tough time in life and I almost concluded that all this is because of my bad decisions. But this article gave me lot of courage. It showed me the right inside me and the solution to right versus right situations. I need some more ways to improve my decision power. It can give me a life which I am on verge of loosing. Hello, I am very stressed these days over a decision which I have to make. At one place there is kind of security , a big brand and something which i know how to do however I am not enjoying it at all& its vice versa at other end. I am sure these tips will certainly help me in reaching at spot. This article is really helpful in decision making process of an individual. Thanks to Brahmkumaris team for this effort for making people to be aware of these kind of thoughts. The power of good judgement has really enlightened me, and I think I can be a better persona if I use these principals in our life. Thanks for this article. There is an article on each of the Eight Powers on this very site. Hope you find them useful. Best regards. Awesome the above saying. Could you pls send me more of this teachings on "The Eight Spiritual Powers" from Brahma Kumaris? Thankyou very much. Dear Anand, Thank you for your comment and questions. The answer to both questions lies in the proper development of another of the eight essential spiritual powers: the power of discernment, about which there is another article by Kiran Coyote. Each of these powers is developed through the practice of Raja Yoga meditation. If you have self-honesty, then deciding on the basis of any of the three principles mentioned would preclude you acting only in your own interests. it is really great article to ponder upon. I just have a query. How do u decide which is the best principal to be taken into consideration when u r doing decision making. As ur principal changes ur decisions might change. and secondly do we have to make choice only by outcomes after the decision is made. The out come might please me only and not others. Pls guide me on the issue. Dear Chandrakant, Thank you for your comment. Unfortunately there is no facility at this time to provide articles by email. I spent my 7 years in touch with brahmakumaris.i also practicised meditation. Really the power of judgement plays a crucial role in stabilising the life. i learnt, how to judge. Thank u for providing knowledge. Would u send such mind changing articles on my email? I need really . That's a really useful and incredible explanation to amend the power of Judgment. I would really appreciate if you provide an article about the aspect of inner development which people call Emotional intelligence.